The Board of Elders works with the Pastors in maintaining the spiritual life of the congregation. The elders assist the pastors in worship and in providing spiritual care to each family in the congregation. To consult with and assist the Pastor in all matters of worship and spiritual life of the congregation. Care for the spiritual, emotional, and physical welfare of all employed servants of the church and their families. Act as a sounding board for issues referred by members of the congregation, the NE District, and the LCMS. Review each issue and work in concert with Pastor and respective officers and boards on appropriate action (or policy) to resolve the issue. a. The Board of Elders shall consult with and assist the Pastor(s) in all matters pertaining to public worship, Christian life and spiritual life of the congregation. b. The Board of Elders, together with the Pastor, shall be accountable for the well-being of each soul in the congregation. c. The Board of Elders shall be concerned about the spiritual, emotional and physical health and welfare of all divinely called or certified servants of the church and their families as well as any additional salaried personnel under their care. a. Initiating and maintaining a program of God-pleasing worship – including corporate, public, personal and private. (1) The Board shall secure all facilities and personnel for Divine Services. (a) The Board shall appoint the head usher and the assistant head usher and invite them to a meeting one time per year to discuss problems and improvements on the part of the ushers in helping the children of God in reverent and meaningful worship. 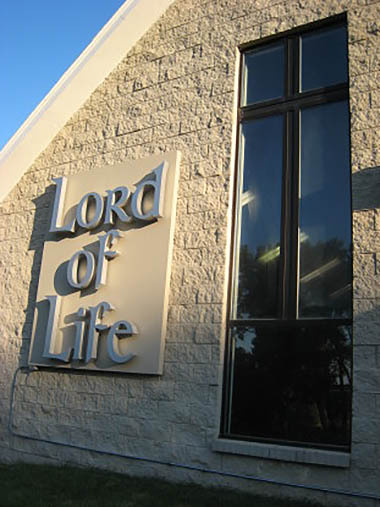 (b) The Board shall supervise those involved in the music program regarding music in all worship services, including, but not limited to all regularly scheduled Sunday and midweek services, as well as funerals, weddings, baptisms, and any other such special services as the need arises. (c) The Board shall invite the chairperson of the altar committee to discuss altar care and needs at least one time per year. The Board shall request the Pastor to provide a course of instruction for the altar committee’s familiarization with Lutheran liturgical practices as necessary. (d) The Board shall be responsible for obtaining, training and scheduling acolytes for every public worship service to light and extinguish candles and to assist with the Sacrament of the Altar as necessary. (e) The Board shall be responsible for obtaining and scheduling readers and greeters for each public worship service. (2) The Board shall be responsible for all public worship services. They shall analyze the regular worship services of the congregation. (3) The Board shall assist the Pastor(s) in the conduct of public worship by witnessing and assisting the Pastor(s) at the administration of all baptisms and all celebrations of Holy Communion. (4) The Board shall assist the Pastor(s) in determining the times and dates of special worship services. (5) The Board, together with the Pastor(s), shall prayerfully consider any requests and/or recommendations made by other Boards or members of the congregation pertaining to our congregation’s program of worship. (6) The Board shall review and rule on all doctrinal matters. (7) The Board shall serve as the pulpit committee of the congregation when a pastoral vacancy occurs and shall take the lead in securing a vacancy Pastor, obtaining a list of candidates, etc. The Board shall assume similar responsibilities with other called or certified servants. (8) The Board shall appoint and/or hire choir directors, organists and others who are deemed necessary to assist in the worship services of the congregation. Such appointments involving salaried personnel shall be approved by the congregation. (9) The Board shall be responsible for God-pleasing and glorifying observance of various anniversaries of the congregation. b. Initiating and maintaining an active program of concerned discipline where necessary with the members of the congregation, applying Christian discipline within the congregation and Christian love for the salvation of erring souls in accordance with Matthew 18:15-18. (1) The Board shall have a calling program of reclamation and discipline; each Board member shall assume the responsibility for his assigned members within the congregation. (a) Setting up some record of church attendance – individual member as well as total number attendance records. (b) Reviewing attendance records of individual members at regular meetings to seek out those who are becoming lax and delinquent in the worship of God. (c) Establishing a personal calling program on all members of the congregation and especially on those becoming lax and delinquent in worship. (a) Regularly reviewing whether newborn children in the congregation have been baptized. (b) Regularly reviewing the attendance at Holy Communion of each communicant member. Domestic problems, business reverses, etc. (5) The Board shall, individually or collectively, seek to speak a word of commendation and encouragement to members who are showing evidence of Christian faithfulness, consecration and growth. (6) The Board shall study and faithfully understand the purpose and importance of church discipline in the congregation. (7) The Board shall attend training sessions for reclamation and discipline calling conducted by or recommended by the Pastor(s). (8) The Board shall consider complaints and grievances of the members of the congregation if Matthew 18:15-16 has been fully observed. (9) The Board shall carry out church discipline diligently, carefully and prayerfully in accordance with the Word of God in Matthew 18, praying and working so that peace, harmony and love prevail in the congregation. (10) The Board shall review and pass on all communicant membership applicants, communications, removals, releases and transfers and report the same to congregation. (11) The Board shall serve as the special gifts committee to review the acceptability of all memorials and gifts to the congregation. It shall approve the expenditures of the memorial funds received. It shall be responsible for the implementation of the memorial instructions in consultation with the various church boards. (12) The Board shall, with the assistance of the Board of Christian Evangelism, promote the welfare and growth of all Christian fellowship and auxiliary organizations with one another and with those of the congregation itself. c. Initiating and maintaining an active program of concern for the spiritual, emotional and physical health and welfare of all divinely called or certified servants of the church and their families and any additional salaried personnel under their care. (1) The Board shall, individually or collectively, by word and action encourage the pastor(s) in his work. (2) The Board shall stand ready at all times to help its pastor(s) in his work. (3) The Board shall stand ready at all times to help its pastor(s) and other leaders in difficult problems of the ministry. a. The Board of Elders shall consist of a minimum of seven (7) voting members who shall be elected by the Congregation in accordance with the procedures set forth in the Constitution and Bylaws of the Congregation. b. The Board of Elders shall choose its own chairman from within its midst and shall delegate the work areas accordingly. c. The chairman shall appoint such additional responsibilities and subcommittees as are deemed necessary from the membership of the board. d. The regular meetings of the Board of Elders will be presided over by the chairman. General topics of elder business will be conducted in open session with any member of the congregation or other guests welcome. For matters requiring appropriate confidentiality, the meeting will be conducted in closed session consisting of the Elders, the president of the congregation and the pastor(s). For any business matters that require approval or disapproval by the Board of Elders, a quorum of at least fifty percent of the Board is necessary. e. The Board of Elders shall approve for the congregation’s treasurer all bills and expenditures incurred in the performance of its duties and shall submit its own separate budget request annually to the Board of Directors for the operating funds needed in furtherance of its duties.